Ginger has always been one of my very favorite flavors. Whether it’s pickled, candied, grated, or any other way, I love it. Yazi Ginger Vodka was a new one to me, though. Slightly spicy, slightly sweet, it’s sooo good. 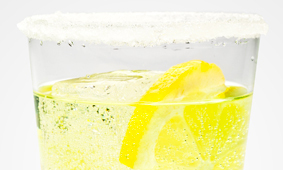 These ginger vodka cocktails will add a twist to your normal cocktail routine. Check out the fab ginger vodka cocktails after the jump. Lemon and ginger are two of my favorite flavors. 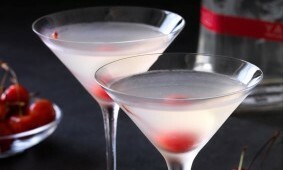 Shake with ice and serve up in a martini glass. Garnish with a thin peach slice or lemon curl. A bit of an eastern take on the classic Caribbean cocktail. Muddle mint leaves, lime slices, and sugar cube in the bottom of a glass. Top with ginger vodka and club soda and stir well. Personally, I like to add a couple ice cubes, too. YUMMY. want to come bartend for me this weekend? you are hired! Oh wow, Ginger Vodka sounds yummy. I’ll have to look for this at the liquor store! I haven’t tried ginger vodka yet, but it sounds wonderful. I don’t know which drink looks better! 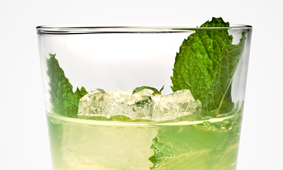 That mojito sounds amazing and mojitos are one of my favorite cocktails! Great recipes and SOOOO need a drink right now, the only thing better if you would deliver…hahah..thanks for sharing, they seem easy enough for me to mix up.. can’t wait to try them all….!!!! Oh my goodness, I am definitely pinning this for our next BBQ… these sound amazing… YUMMY! Those all sound awesome!! I think I’d try the Mischief one first. It sounds so refreshing! One of each, please! I’m not sure I’ve ever had a cocktail with ginger in it? Maybe I have, but I don’t think so. I would totally go for it though! Oh yum! I love ginger so this is a cocktail list made just for me! Oooh, I like the idea of ginger in a cocktail. Sassy. They all look amazing!!! 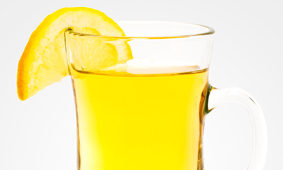 I love lemon and ginger too, I really need to give Snap Dragon a try – looks awesome!! Ooh yummy! 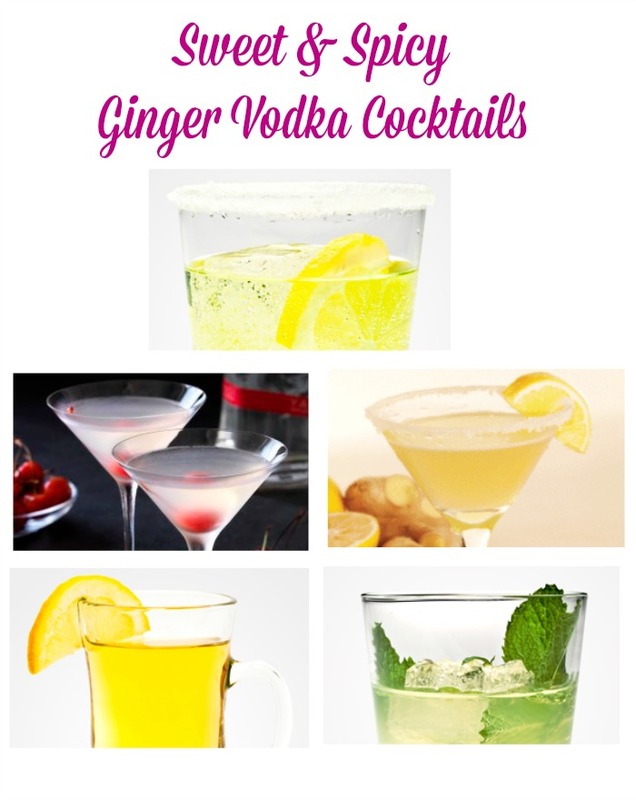 I’ve never heard if ginger vodka, but I have to say that it sounds delish! Thanks for the tasty drink ideas! These all sound so great. I think the Shanghai Lemon drop would be my choice. The Ginger Apple Spice sounds like a great drink for the fall as the temperatures begin to drop – yum! I love apple cider, and would love it with a little kick! I have never heard of ginger vodka before. but wow it sounds wonderful.